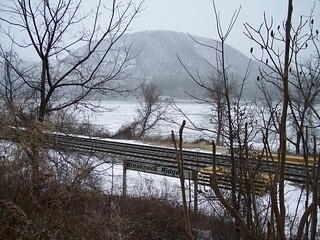 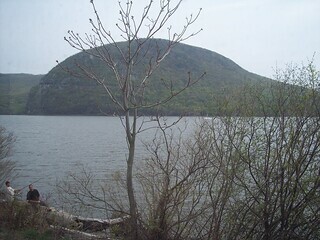 The Breakneck Ridge station is two simple short platforms. 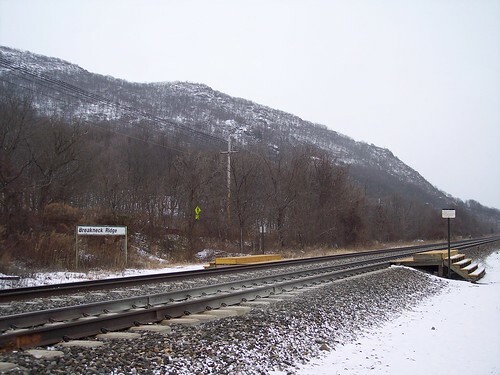 Very few trains stop here since the only things in the area are the hiking trails on the ridge above the station and the Hudson River. 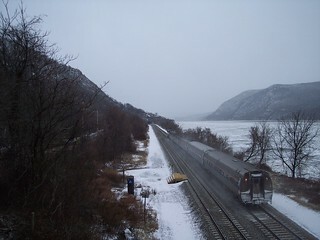 The station is just south of Bannerman's Island. 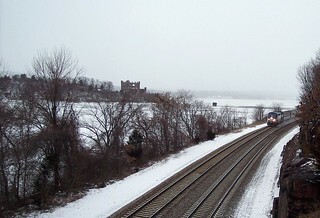 A New York bound Amtrak train approaches the station, but will not stop.